Kelly Williamson earned a BMus in performance with Distinction from McGill University, and a MMus from l’Universite de Montreal. She has studied privately in Matsumoto with Toshio Takahashi, founder of the Suzuki Flute School. A registered teacher trainer with the Suzuki Association of the Americas, Kelly is invited to teach at workshops all over the world, most lately in Peru, Argentina, England, and Mexico. 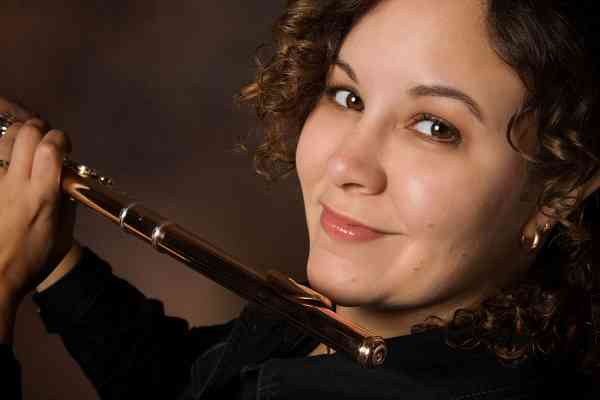 She serves on several committees for the SAA, is the SAA representative to the ISA flute committee, and has contributed many articles to the American Suzuki Journal. An active freelance musician in her current home of Cambridge, Ontario, she has appeared in numerous local arts events and plays with several area orchestras. With guitarist Mariette Stephenson, she performs regularly as Duo Calixa. She also reserves time for daily practice of hot yoga.